events – Latest Venture news. Psst! We’re looking at you, early-stage startup founders. How would you like your startup to be a media and investor darling at Disrupt San Francisco 2019? If you think your startup has what it takes to make the cut, apply to be a TC Top Pick. The application process is super easy, free and potentially — dare we say — life changing. Yup, we dare. Our TC Top Picks program is competitive and highly selective. TechCrunch editors are a notoriously picky bunch, and they’ll review every application thoroughly before choosing up to five top startups in each of these categories: AI/Machine Learning, Biotech/Healthtech, Blockchain, Fintech, Mobility, Privacy/Security, Retail/E-commerce, Robotics/IoT/Hardware, SaaS and Social Impact & Education. Every startup selected as a TC Top Pick receives a free Startup Alley Exhibition package, invitations to special events at Disrupt SF — like the investor reception — and prime real estate in the Startup Alley exhibition hall. It’s one thing for us to tell you that being a TC Top Pick can change your startup’s trajectory, but it’s more effective to hear first-hand experiences from previous Top Picks — like this one. Israeli-based CAARESYS earned a TC Top Pick designation in the mobility category at Disrupt SF 2018. The startup’s vehicle monitoring system uses low-emission radio frequency radar and contactless biometrics to track the body location and physical state — respiration rate, heart rate and heart-rate variability — of each passenger in the car. According to Konstantin Berezin, the company’s COO and co-founder, the connections they made as a TC Top Pick at Disrupt SF resulted in projects with three OEM and Tier 1 companies. The company is currently in the integration phase with auto manufacturers to get the systems into cars by 2021. Another perk that comes with being a TC Top Pick is the interview with a TechCrunch editor on the Showcase stage in Startup Alley. That video interview, which we promote across our social media platforms, provides valuable media exposure long after the conference ends. Of course, there’s more than one way to grab the spotlight at Disrupt SF. While you’re applying to be a TC Top Pick, why not apply to compete in Startup Battlefield, too? Our epic startup pitch competition carries a $100,000 equity-free cash prize. Yowza! Disrupt San Francisco 2019 takes place October 2-4. Take a life-changing step to get the most out of your time at Disrupt and apply to the TC Top Pick program today. It’s super early-bird season for startuppers of every stripe, meaning it’s time to grab the lowest prices on passes to Disrupt San Francisco 2019, going down on October 2-4 at Moscone North. Check out all the different pass types that fit any level of needs and budgets. Register for your pass now to lock in the lowest price, plus you can pay for your pass in four installments if need be. Here’s how the buy-now-pay-later installment plan works. Follow the normal process to purchase your pass. When it comes time to pay, select the payment plan option. You pay 25 percent of the pass price (plus fees) now, and then pay off the remaining balance in three equal payments to take place on July 15, August 15 and September 15. Note: Discounted Student, Government or Nonprofit Innovator passes are not eligible for payment installments. Whether you’re a founder, investor, industry leader, developer or technologist, you can lock in your pass and experience all the excitement and action of Disrupt SF 2019 at super savings. Three program-packed days feature hands-on workshops, product demonstrations, top-notch speakers, moderated Q&A sessions and world-class networking — for starters. Don’t miss Startup Battlefield, TechCrunch’s famous pitch competition — and who can resist the hundreds of innovative startups exhibiting in Startup Alley? It’s a breeding ground of opportunity. There’s still time to apply to compete in Startup Battlefield — or to be selected as a TC Top Pick and exhibit in Startup Alley for free. It doesn’t cost a thing to apply or participate, so fill out this application to be considered for both of TechCrunch’s VIP early-stage startup programs. Disrupt SF 2019 takes place on October 2-4. Be kind to your bottom line and buy your pass at the lowest price, spread your payments over four months and enjoy your Disrupt experience knowing you got the best ROI possible. Can’t wait to see you in October! The event will dig into recent developments in robotics and AI, which startups and companies are driving the market’s growth, and how the evolution of these technologies may ultimately play out. In preparation for our event, TechCrunch’s Brian Heater spent time over the last several months visiting some of the top robotics companies in the country. Brian will be on the ground at the event, alongside Lucas Matney who will also be on the scene. Friday at 11:00 am PT, Brian and Lucas will be sharing what they saw and what excited them most with Extra Crunch members on a conference call. Micromobility — electric personal vehicles — has gone from being non-existent to ubiquitous across cities all over the world. Currently, we’re seeing micromobility take on the form of electric scooters and pedal-assist bikes. JUMP and Scoot operate in both of those categories. JUMP got its start as a pedal-assist bike-share startup, but has since evolved to handle electric scooters. And while Scoot’s first product from 2012 was an electric moped, it got its feet wet with bikes back in May 2018, then electric scooters later that same year. Between JUMP founder Ryan Rzepecki, who sold his startup to Uber for about $200 million, and Scoot SVP of Product Katie DeWitt, TechCrunch Sessions: Mobility presented on July 10 in San Jose, Calif. is ready to dive deep into what the future of micromobility holds for us. We’ll explore topics around asset management, unit economics, partnering with cities, data sharing, consolidation and what a potential shift to ownership would mean. Early-Bird tickets are now on sale — save $100 on tickets before prices go up. Students, you can grab your tickets for just $45. Extra Crunch offers members the opportunity to tune into conference calls led and moderated by the TechCrunch writers you read every day. This week, TechCrunch’s Frederic Lardinois and Ron Miller offered up their analysis on the major announcements that came out of Google’s Cloud Next conference this past week, as well as their opinions on the outlook for the company going forward. Google Cloud announced a series of products, packages and services that it believes will improve the company’s competitive position and differentiate itself from AWS and other peers. Frederic and Ron discuss all of Google’s most promising announcements, including its product for managing hybrid clouds, its new end-to-end AI platform, as well as the company’s heightened effort to improve customer service, communication, and ease-of-use. “They have all of these AI and machine learning technologies, they have serverless technologies, they have containerization technologies — they have this whole range of technologies. But it’s very difficult for the average company to take these technologies and know what to do with them, or to have the staff and the expertise to be able to make good use of them. So, the more they do things like this where they package them into products and make them much more accessible to the enterprise at large, the more successful that’s likely going to be because people can see how they can use these. Frederic and Ron dive deeper into how the new offerings may impact Google’s market share in the cloud ecosystem and which verticals represent the best opportunity for Google to win. The two also dig into the future of open source in cloud and how they see customer use cases for cloud infrastructure evolving. We’re a week out from our third-annual TC Sessions: Robotics event, and we still have some surprises left to announce. I know, we’re just as surprised as you are. We’ve already announced that Marc Raibert, Colin Angle, Melonee Wise and Anthony Levandowski will be joining us in Berkeley next week, and today we’re adding Claire Delaunay to the list of distinguished names. Delaunay is VP of engineering at NVIDIA. 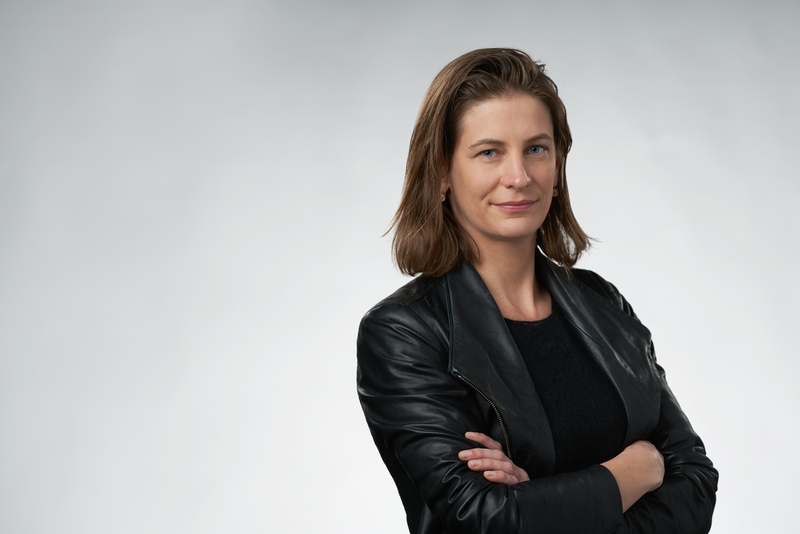 Prior to NVIDIA, she worked as the director of Engineering at Uber, after the ridesharing service acquired her startup, Otto. She has also worked as the robotics program lead at Google. She is currently the head of NVIDIA Isaac. The company’s robotics platform is designed to make it easier for companies of various experience levels and means to develop robots. Delaunay will discuss the platform and showcase some of NVIDIA’s in-house robotics reference devices, including Kaya and Carter. Speaking of NVIDIA, TechCrunch is partnering with them on April 17 (the day before the conference) to host a Deep Learning for Robotics workshop at UC Berkeley. This in-person workshop will teach you how to implement and deploy an end-to-end project through hands-on training in eight hours, led by an instructor. Click here to learn more about the workshop. Hear from Delaunay and other awesome speakers next week at TC Sessions: Robotics + AI. Purchase your $349 tickets now before prices go up $100 at the door. Student tickets are just $45 — book yours now. Creativity knows no geographical borders, which is why we’re inviting countries from around the globe to bring their very best early-stage tech startups to Disrupt San Francisco 2019 on October 2-4. Join more than 1,000 startups and exhibit your country or region’s innovative tech, talent and expertise in Startup Alley — in your own country pavilion. Organizing a sponsored pavilion in Startup Alley is an opportunity for your country or region to step onto the international stage, showcase its emerging companies and be recognized as a leader in tech innovation. Country or regional pavilions can include delegations of international startup groups, government innovation centers, incubators and accelerators. Startup Alley — the pulsing heartbeat of every Disrupt — is about as prime a piece of real estate as you’ll find in the startup world. More than 10,000 Disrupt attendees will flow through the Alley — including hundreds of media outlets looking for a great story and investors looking for the next big thing. It’s networking nirvana, and the connections you make could place your country on the tech startup map. One of your startups might even be considered for a Startup Battlefield Wild Card spot. Back in 2017, Recordgram earned the Wild Card spot — and went on to win the Startup Battlefield. Might lightning strike twice? Here’s how country pavilions work. We offer one-day and three-day sponsor options. When you organize a three-day pavilion, you can bring a minimum of eight startups to exhibit in Startup Alley for all three days of Disrupt, and your logo will be included in Disrupt marketing materials. Each delegation startup receives two Founder passes, and each organizer receives four Innovator passes. Organizers of a one-day pavilion can bring a minimum of eight startups to exhibit for one day in Startup Alley, and your brand will be included in Disrupt marketing materials (no logo). Each delegation startup receives three Founder passes if the pavilion contract is signed by August 30 — if not, they receive two Founder passes each. Each organizer receives two Innovator passes. Interested in organizing a pavilion? Shoot us an email at [email protected], tell us about your delegation and where you’re from. We’ll provide information about the application process, other organizer perks and pricing. There’s only one caveat, and it’s not hard to meet. Each startup in your delegation must qualify as a Pre-Series A company. When you’re not busy networking in Startup Alley, you and your delegation members can take in all that Disrupt SF 2019 offers. That includes the Startup Battlefield competition, watching the Hackathon winners present their new products, Q&A sessions and programming with the top names in tech across several different stages and interactive workshops and panel discussions focused on (but not limited to) these categories: Artificial Intelligence/Machine Learning, Biotech/Healthtech, Blockchain, Fintech, Gaming, Investor Topics, Media, Mobility, Privacy/Security, Retail/E-commerce, Robotics/IoT/Hardware, SaaS, Space, Social Impact & Education. Disrupt San Francisco 2019 takes place October 2-4 at Moscone North. This is a great opportunity to show the international startup community the creative genius taking place in your country. Contact us today to learn more about organizing a country pavilion. Some of the first users of autonomous taxis are senior citizens living in a massive retirement community in Florida. It’s there, in a 40-square-mile area known as The Villages, that autonomous driving startup Voyage has planted its flag. Once the door-to-door self-driving taxi service is fully operational, all 125,000 residents will have the ability to summon a self-driving car to their doorstep using the Voyage mobile app. Voyage’s strategy to target retirement communities makes the startup, and its founders, stand out in a sea of emerging competitors. And now, TechCrunch is excited to announce an opportunity to gain insight into Voyage, its mission and plans for the future. Co-founder and CEO of Voyage Oliver Cameron will participate in TechCrunch’s inaugural TC Sessions: Mobility, a one-day event on July 10, 2019 in San Jose, Calif., that is centered around the future of mobility and transportation. Cameron previously led the autonomous vehicle, artificial intelligence and deep learning curriculum at Udacity . Voyage spun out of Udacity in 2017. Since then, Voyage has piloted its autonomous taxi services in two retirement communities, one in San Jose and another in Florida. And more will likely follow. TC Sessions: Mobility will present a day of programming with the best and brightest founders, investors and technologists who are determined to invent a future Henry Ford might never have imagined. In case you missed it, Nuro co-founder and CEO Dave Ferguson was our first announced guest for TC Sessions: Mobility. TC Sessions: Mobility aims to do more than highlight the next new thing. We’ll dig into the how and why, the cost and impact to cities, people and companies, as well as the numerous challenges that lie along the way, from technological and regulatory to capital and consumer pressures. Google’s Cloud Next conference is taking over the Moscone Center in San Francisco this week and TechCrunch is on the scene covering all the latest announcements. 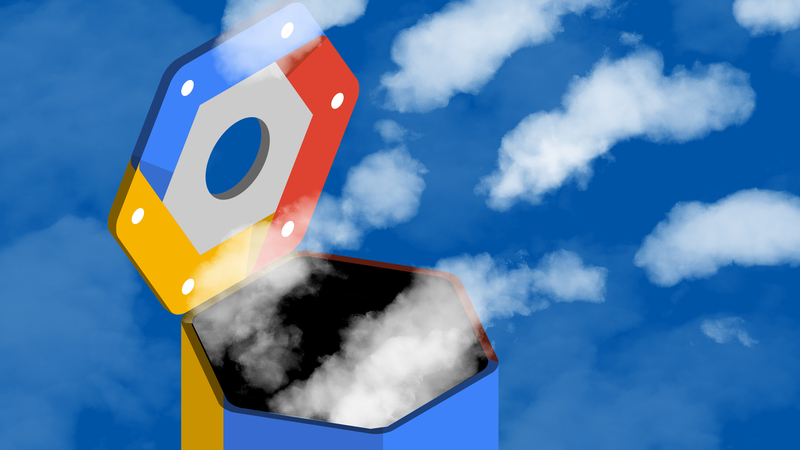 Google Cloud already powers some of the world’s premier companies and startups, and now it’s poised to put even more pressure on cloud competitors like AWS with its newly-released products and services. TechCrunch’s Frederic Lardinois will be on the ground at the event, and Ron Miller will be covering from afar. Thursday at 10:00 am PT, Frederic and Ron will be sharing what they saw and what it all means with Extra Crunch members on a conference call. Tune in to dig into what happened onstage and off and ask Frederic and Ron any and all things cloud or enterprise. Viva la revolution! And by that we mean the tech revolution taking place in mobility and transportation. If you’re an early-stage startup founder in either field, don’t miss your chance to demo your company in front of top influencers at TC Sessions: Mobility 2019. It’s a prime opportunity to showcase your tech startup in front of a very large, very targeted audience — the mobility and transportation industry’s movers and shakers. Why wait? Book a demo table right now. TC Sessions: Mobility 2019 takes place on July 10 in San Jose, Calif. More than 1,000 members of the mobility community — founders, technologists, engineering students and investors — will gather for a day-long intensive event featuring speakers, panel discussions, demos, workshops and world-class networking. TechCrunch editors will interview some of the best minds and makers in this rapidly evolving field. They’ll challenge assumptions and deflate the hype to provide a clearer understanding of the current state of mobility — and what the future holds. Exciting as it may be, mobility raises complex issues and challenges — from human impact and infrastructure to regulatory concerns and capital investment. We won’t shy away from the big issues — we’ll dig in and hear from the people who are making it happen. Case in point, we recently announced our first speaker — Dave Ferguson, the CEO of the autonomous delivery startup Nuro. An early pioneer of self-driving vehicle technology, Ferguson has worked on robotics and machine learning for nearly 20 years, owns more than 100 patents and served as the machine learning and computer vision team lead on Google’s self-driving program (now known as Waymo). The auto industry alone is undergoing a seismic shift toward investing in car sharing, ride hailing, on-demand shuttles and even subscription services. Traditional paradigms around producing, selling and buying cars are changing and — along with a serious uptick in electric vehicle ownership — creating huge opportunities for tech startups. Things start to get exponential when you add breakthroughs in AI, robotics, drone technology and autonomous delivery bots. What started as the horseless carriage may soon be a flying taxi. TC Sessions Mobility 2019 is the place to explore the intricacies of these topics and connect with the best minds in your community. We’re still building our agenda and adding to our roster of speakers, many of whom will demonstrate their technology on our stage. Here’s a radical thought. If you want to be considered for a spot — or nominate someone else — submit your application right here. We’ll announce the participants of our fireside chats, panels and workshops in the coming weeks. TC Sessions: Mobility 2019 takes place on July 10, and this is your chance to showcase your early-stage mobility startup in front of mobility’s best and brightest founders, investors and technologists. Reserve your demo table today. Looking for sponsorship opportunities? Contact our TechCrunch team to learn about the benefits associated with sponsoring TC Sessions: Mobility 2019.